The Oasis Plus by U.S. Products is a portable ozone generator that cleans/scrubs the air in sealed environments. Not only does it destroy the molecules that cause foul odors, but it also removes smoke, mildew, mold, and other malodors. The Oasis Plus has patented high-density ceramic and stainless steel electrode corona discharge system, which does not allow any dirt or impurities to accumulate. It is a maintenance free ozone generator that is guaranteed for life. Our ozone generators / air scrubbers produce pure ozone, which is the strongest oxidant commercially available and is a proven deodorizer. Not only is the portable ozone generator great for use in fire and water restoration jobs, but it can also be used to quickly deodorize hotel/motel rooms, hospitals rooms, and meeting areas. Another area of use is in the automotive detailing industry. This unit works great with the optional car care kit to quickly deodorize the interiors of cars, trucks, airplanes, buses, boats, and motor homes. A timer that is maxed out at 30 hours allows you to let the machine run and do its thing as you continue to take care of other tasks. Designed specifically for harsh electrical and environmental demands from continuous usage. The transformer is a recognized UL & CSA component that comes with a 3 year warranty. Produces pure ozone, which is a proven deodorizer and is the strongest oxidant commercially available. No reduced efficiency due to dirt or moisture build up within the unit itself. Lightweight and portable for efficient ozone generation at any job site. 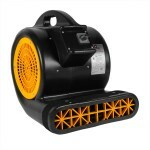 *A dirty or missing filter at the air intake voids the warranty of the Ozonator portable ozone generator. This is a review for the U.S. Products Oasis Plus Portable Ozone Generator.